Steel sheet Stamping is a kind of process that obtaining the required shape and size of the parts by outside force on the metal sheet, strip, pipe shape material use mould and press machine, in order to produce plastic deformation or separation. Stamping and forging belong to plastic processing (or pressure processing), called the forging press. The mainly stamping billets are hot rolling and cold rolling steel plate and steel belt. 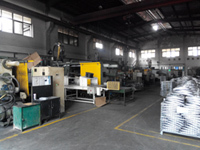 Stamping processing is a production technology that use of conventional or special equipment of the power, make the deformation sheet metal deformation in the mould. Thereby produce a certain shape, size and performance parts. 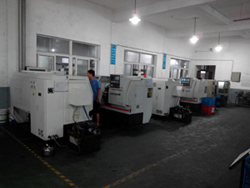 Sheet metal, stamping mould and equipment are the three elements of stamping. Compared with the castings, forgings, stamping parts have the thin, uniform, light and strong characteristic. Stamping can make other methods are difficult to manufacture, such as rib stiffener, flanging, ups and downs, or flanging products, in order to improve its stiffness. Because use precision mould, the precision of part can reach micron grade, and repeat precision is high, the specification is consistent, can punch a hole nest, convex sets, etc. Cold stamping generally no longer by machining, or only need a small amount of machining. Hot stamping precision and surface state is lower than the cold stamping parts, but it's still better than the castings, forgings, less cutting processing capacity. (1) The stamping process is high production efficiency, and easy to operate, easy to realize mechanization and automation. 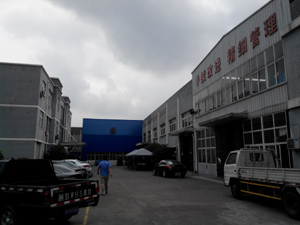 (2) The mould ensure the stamping precision of the size and shape when stamping, and generally does not destroy the surface of the quality of stamping parts , and the life of the mould are long, so the stamping quality is stable, has the characteristics of "the same". (3) The stamping can produce the part that size range is larger, more complex shape parts, such as small to stopwatch of watch, big to Auto longeron, cover parts, etc., and stamping material hardening effect of cold deformation, the strength and stiffness of stamping is high. (4) Stamping generally has no chip broken material, material consumption is less, and do not need other heating equipment, it is a kind of machining method that material saving, energy saving, stamping parts cost is low. Stamping is mainly classification by process, can be divided into separation process and forming process. Separation process is also called the blanking, and its purpose is to make the sheet metal of stamping parts separated along the contour line, and at the same time guarantee the quality of the separation section requirements. Forming process is designed to make sheet metal occurred plastic deformation under the condition of not to break the billet, made into the required shape and size of parts. In the actual production, it is often a variety processes integrated applied to one part. 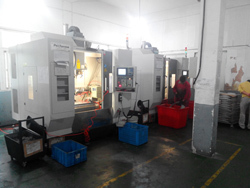 Cutting, bending, shear, deep drawing, bulging, spinning, correction are the main stamping processes. 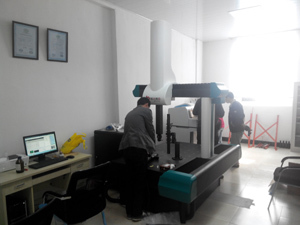 Surface preparation methods: Powder coating, Painting, Plating, Electrophoresis, Polishing. Spinning Shell Shape Soup Plate 6"/7"/8"/9"/10"